Marden Rehabilitation Services, Inc. has introduced the use of the Rehab Optima as part of our program. This software seamlessly integrates financial, administrative, and clinical data for optimal management of rehabilitation operations from the corporate to the facility level. With ever-shifting reimbursement criteria driven by the Prospective Payment System (PPS) and managed care organizations, Rehab Optima allows MRS to optimize service delivery with an informed, proactive understanding of our clients’ needs. Moreover, the web-based platform allows secure access from any computer connected to the Internet, radically minimizing implementation expense and lead-time. 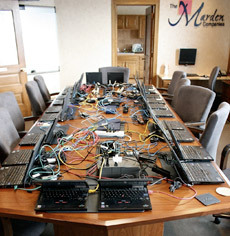 A single global database allows Marden to supply true centralized management, while limiting access to each facilities' information on a HIPAA-compliant need-to-know basis. Additionally, our database can integrate with most common skilled nursing facility management systems, saving our clients time, aggravation and money.